Congratulations to Bailey Payne, Homecoming Queen and Haley Aiken, Maid of Honor. 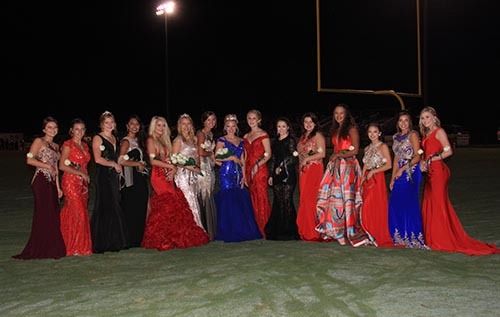 They were crowned during halftime of the Pickens vs Gilmer game on September 29, 2017. Dragons won with score 62-0. Video of court.